We are enjoying a nice snow-free interlude in Halifax this weekend so I thought I should make the most of it and actually go do something today (besides the grocery shopping, which is my standard Saturday chore). 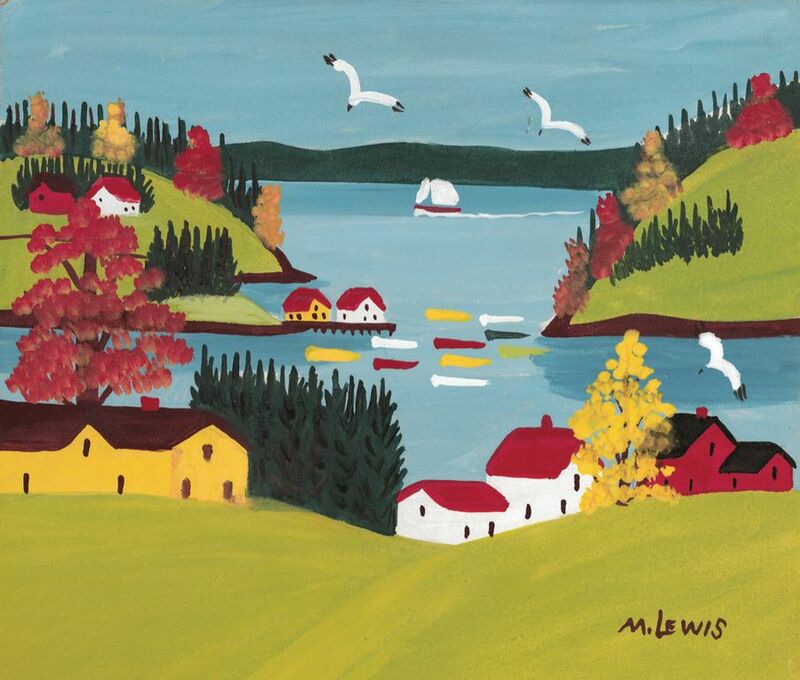 I settled on a trip to the Art Gallery of Nova Scotia, where I haven’t been in many years. 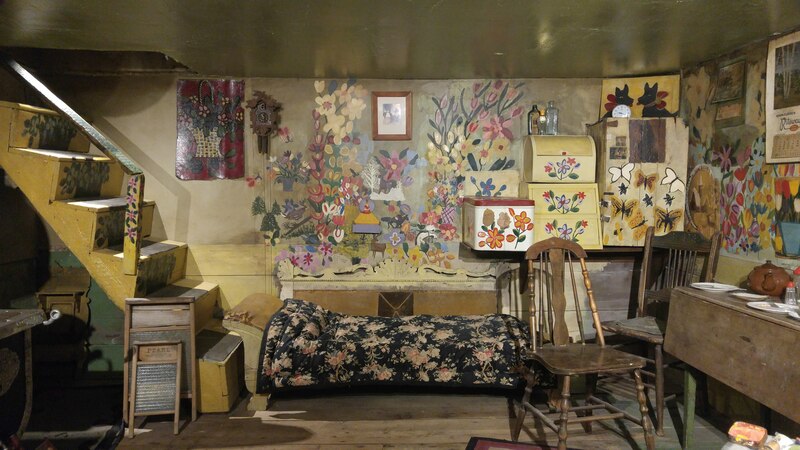 Charming and joyful as the house is, with all its vibrant colours and free-spirited florals, it is hard to imagine two people actually living in it: it looks like a playhouse when you first see it, and at about 12′ x 12′ it is about the size of a single room in most contemporary homes. 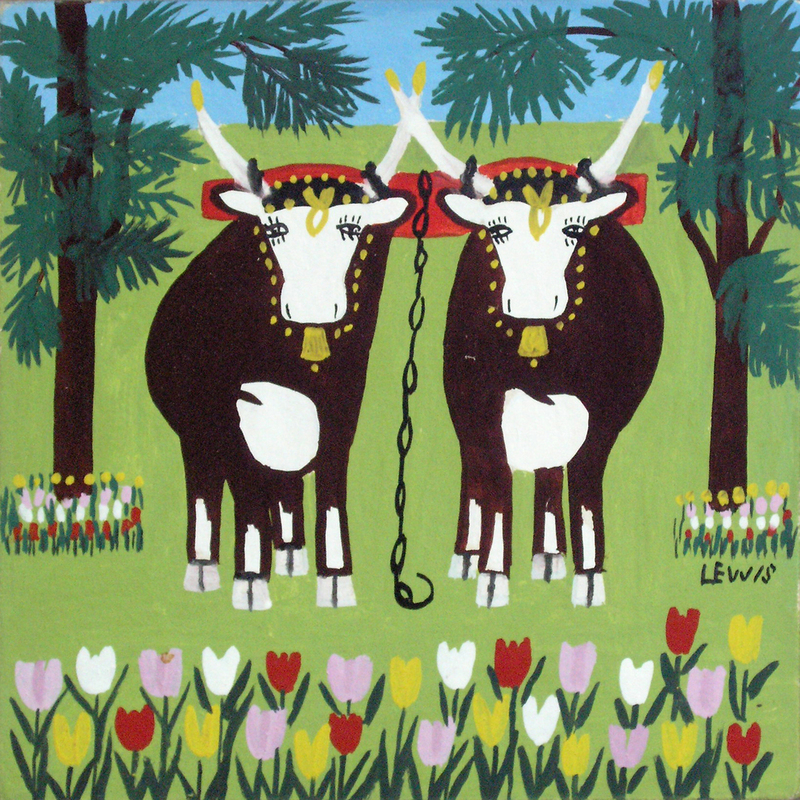 While these creatures amuse me and the landscapes charm me, nothing about Lewis’s work engages me deeply: I have no urge to linger over it. 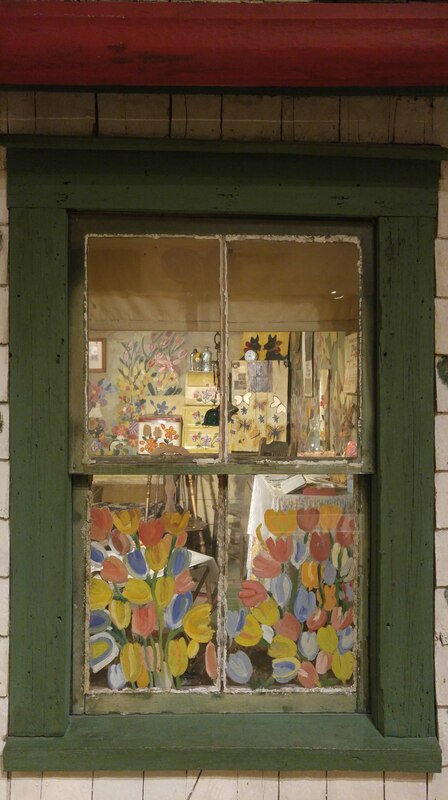 I suppose that’s consistent with its naive or primitive style–it’s not supposed to be layered or sophisticated. Still, just as a matter of personal taste, I prefer art that’s more complex and less cute. 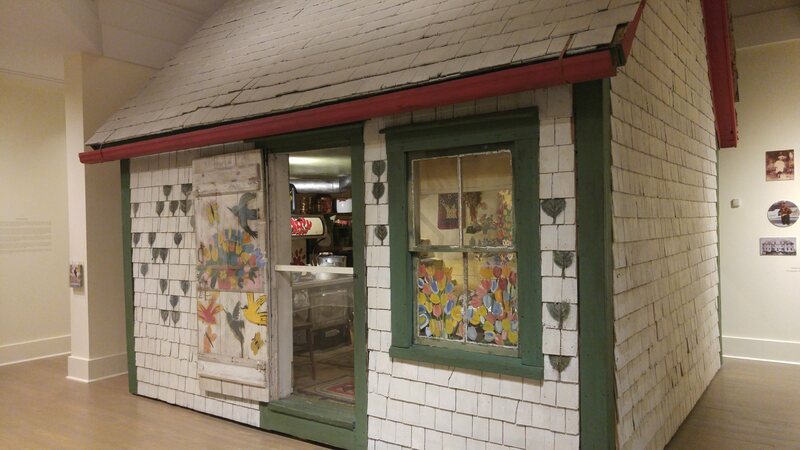 The Maud Lewis gallery has a lot of personality, but its interest for me is not really aesthetic. 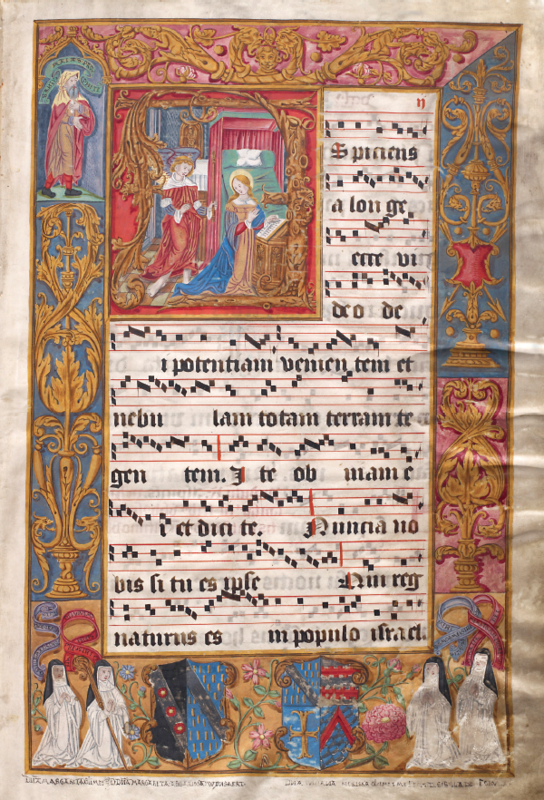 Also in the AGNS (but only until January 28, so I am very glad I went when I did) is an exhibit called “Centuries of Silence: the Discovery of the Salzinnes Antiphonal.” This is a completely different experience: intellectually and historically fascinating, and aesthetically thrilling. 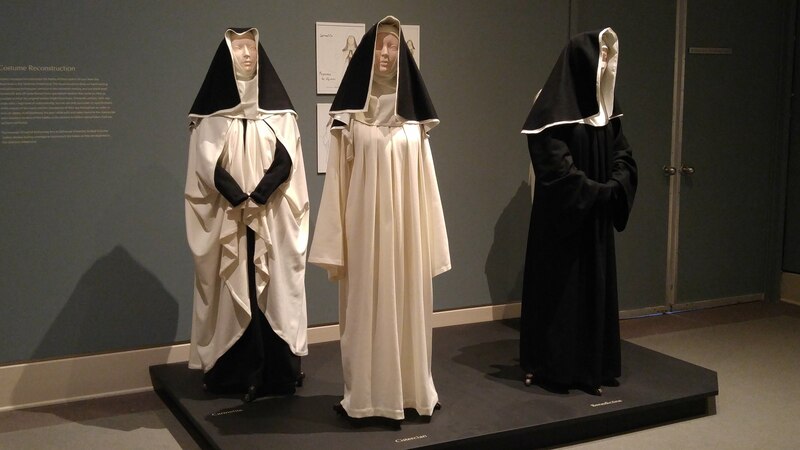 The music has been recreated in modern notation and recorded; as you explore the exhibit its ethereal, otherworldly beauty surrounds, calms, and inspires you. I found it all fascinating, as you can probably tell! 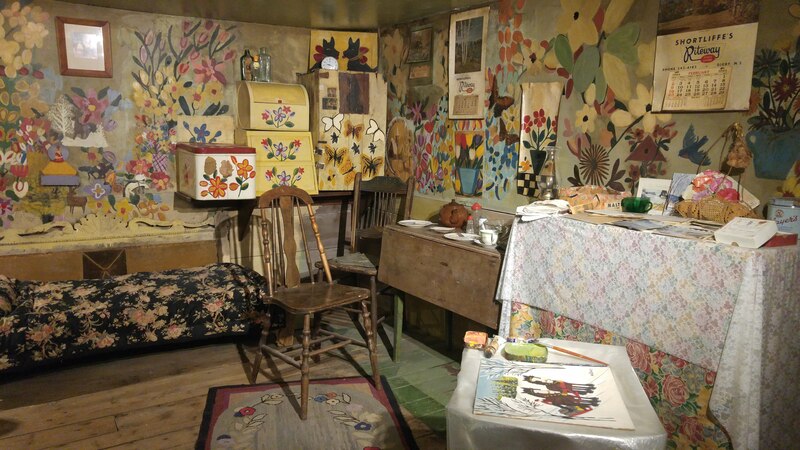 Though the Antiphonal is in some ways quite an imposing object, and though of course the original volume, though on display, is inaccessible behind its protective glass, still in its own way it felt every bit as intimate as Maud Lewis’s house. 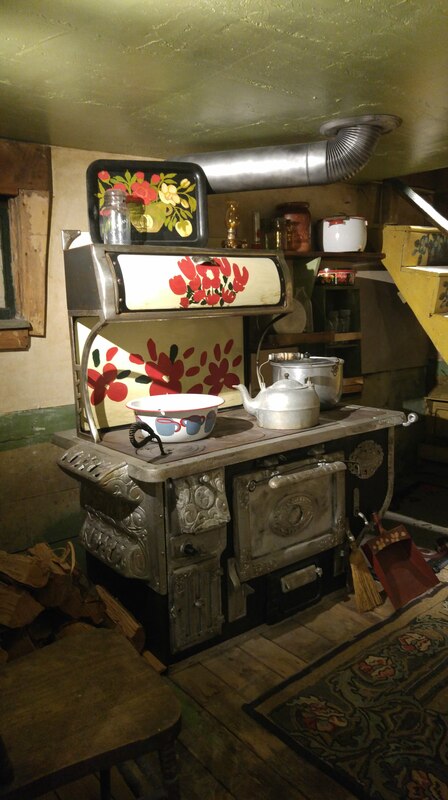 The illustrations, reproductions of which are displayed on the walls, have many details that personalize them, reminding us that this work too was done by very human hands. It was a nice afternoon, especially rounded off with tea and a browse at the Halifax Central Library. I should get out more–and weather permitting, I will! 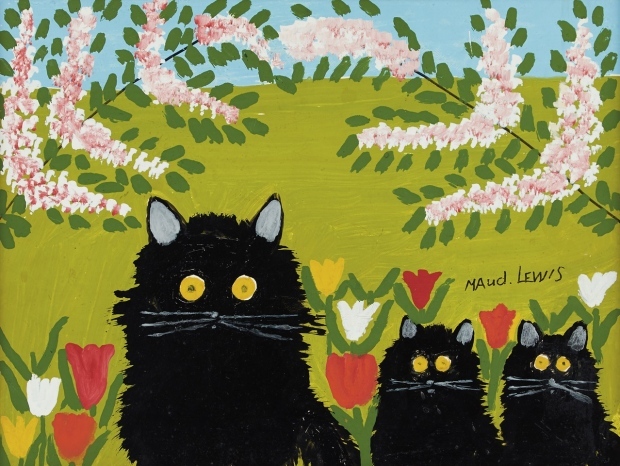 Love AGNS, and the Maud Lewis is always a favourite. Can’t make the drive down very often , especially in winter, so will have to content myself with enjoying the Antiphonal vicariously through your description. Thanks! 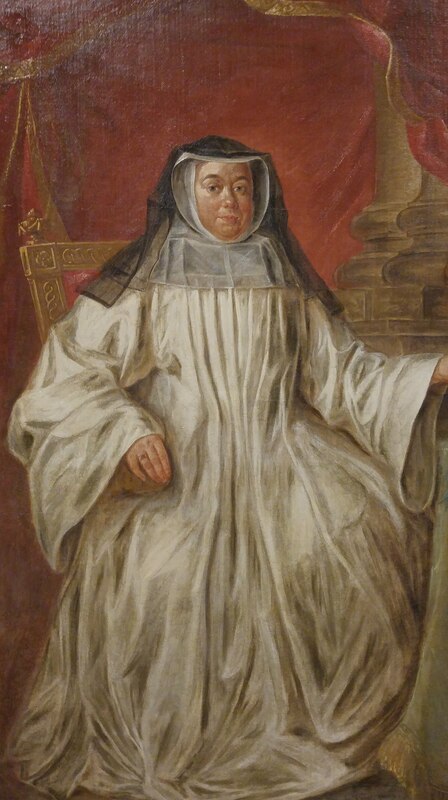 I’m so pleased that you enjoyed the exhibition, Centuries of Silence: The Discovery of the Salzinnes Antiphonal and thank you for your lovely comments. As the exhibition curator, it was a true labour of love. I was very fortunate in having many supporters and partners including a fellow Dalhousie colleague of yours from the Fountain School of Performing Arts, Dr. Jennifer Bain. Thank you for your comment, Judith. 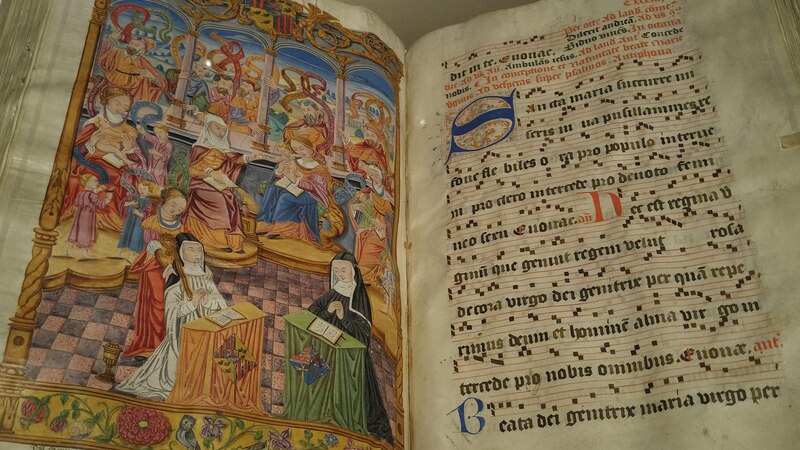 It is a wonderful exhibit: you contextualized the Antiphonal itself so well. I was aware of Jennifer’s work on it, which is another reason I am ashamed to have gotten in to see it so belatedly, but also that I am glad I didn’t miss my chance.